Recently I got myself a GPS module to play with such as this. Not that I knew much about but felt like something nice to play with. 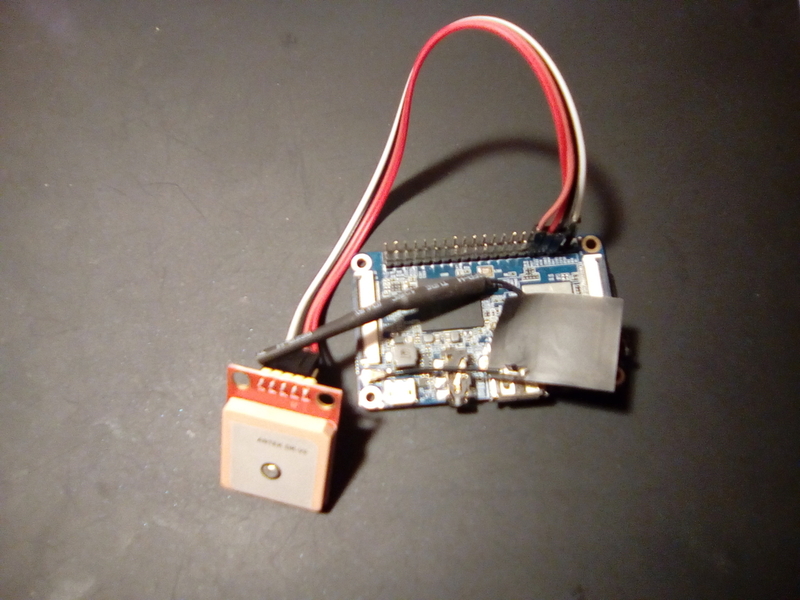 First thing first is connecting the GPS module to the GPIO in Orange Pi 2G. In my case I decided to connect the GPS to ttyS2, asides from VCC (2.8V) and GND. This correspond to pins 1, 6, 8 and 10. Pin 1 would be the one just below a small white arrow to the left of the SD card. 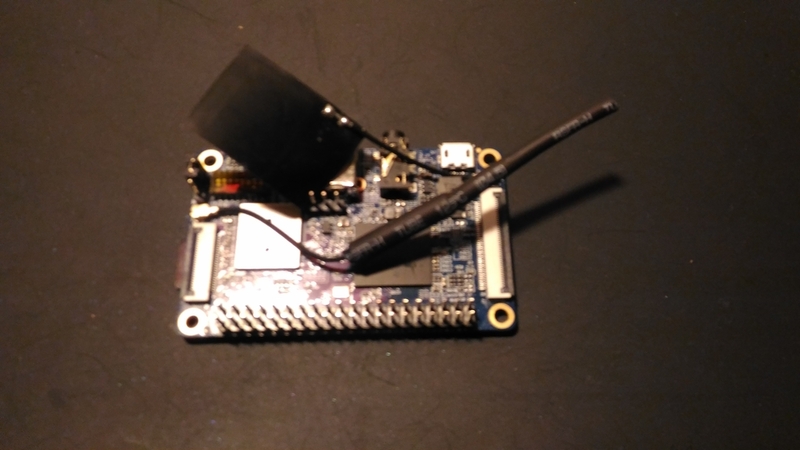 Below two pictures of GPS connected to Orange Pi GPIO pins. 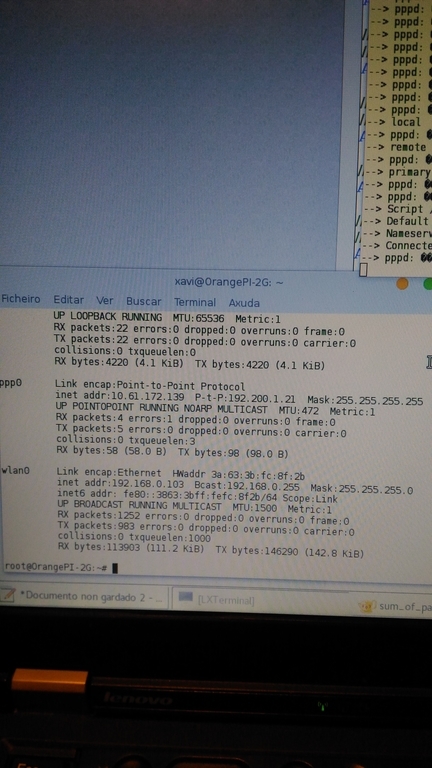 Another important thing is to cross TxD and RxD cables, that means connecting GPS TxD to Orange Pi RxD and GPS RxD to Orange Pi TxD. 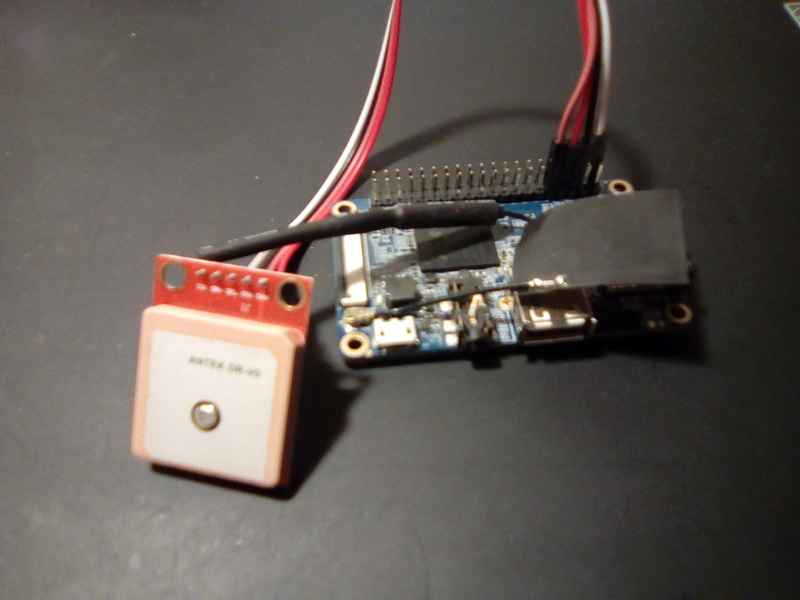 Now that the GPS module is connected to the Orange Pi power it up and log into it. We will now check if the GPS mocule is working, in order to do this we will connect via minicom. Compiled on Apr 26 2017, 00:45:18. 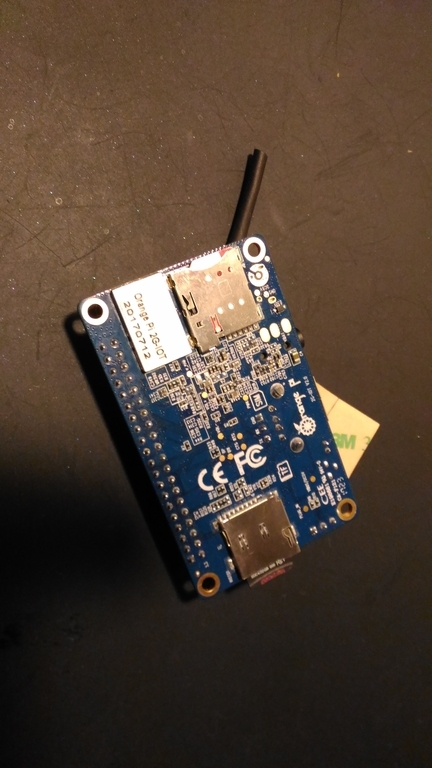 This entry was posted in Linux and tagged Debian, GNU, gps, linux, Orange Pi, Orange Pi 2G IOT, python on May 4, 2018 by Xavi. Recently I bought an Orange Pi 2G IOT. Pretty decent for $10 I would say, not a lot or RAM or CPU, but the interesting thing from my point of view is the 2G modem. Some pictures below with SIM card installed. So the idea of this post is how to configure this device to connect to Pepephone network with a PIN on SIM. After some testing I finally came up with below wvdial.conf which works for me. Pin entry above should be replaced with your SIM pin. Execute running wvdial from cli and you should be able to see a new interface named ppp0. Below is a screenshot of both interfaces ppp0 and wlan0. More info here (in spanish). 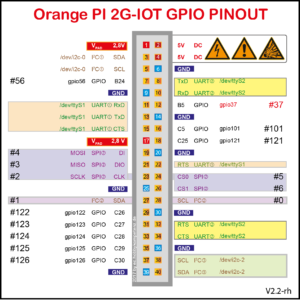 This entry was posted in Linux and tagged Debian, GNU, linux, Orange Pi, Orange Pi 2G IOT on April 4, 2018 by Xavi.